While I don’t see a publicly available offer for this card yet, it appears like United is starting to offer a Visa Club Card which comes with a $375 annual fee. While that’s a lot, it includes a Red Carpet Club membership (and no, I won’t call it a “free” membership). Given that the cheapest membership now costs $400 by itself, that’s a deal. 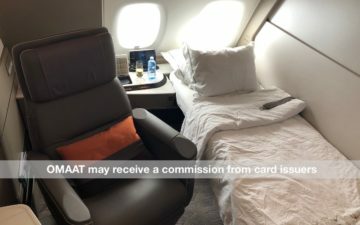 Interestingly enough that’s the same annual fee that Continental charges for their comparable card which includes a Presidents Club membership. For those United frequent fliers without Star Gold with a non-US airline, I’d say that’s a heck of a deal. Singapore Airlines releases A380 first class fare buckets! Looks like they’re giving up to 10k EQM/year as well (assuming 35k in spend + 5k in united.com purchases), so looks like this would replace the plat card for many. 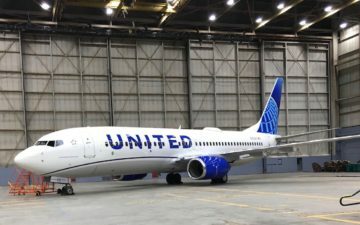 @gobluetwo – I don’t believe they are crediting EQM for united.com purchases the same as the platinum card. I believe, from the thread on flyertalk, is that they are crediting 1EQM per $10 spent on any purchases over $35,000 annual. Also, while lots of folks are comparing this to the CO MC Card, I can’t really agree. If I held the CO MC I’d make it a point to get my $ worth out of the complimentary alcoholic beverages in the PC. It’s harder to get my $ out of complimentary cheese and crackers. Still, it’s an interesting offer. The Chase United Platinum Visa is the best deal as it allows one to accumulate up to 5000 EQMs for United.com purchases. The award of another 5000 EQMs for a yearly 35K spend on the card is also good. Finally, 1Ks whom opened their accounts before September 1, 2006, receive a complete annual fee waiver of $140(after September 1, 2006, accounts receive a $60 credit towards the fee). United should have made the Club Visa card have all of the benefits of the Platinum card along with RCC membership and then reduced the hefty $375 fee for 1Ks to $250 and $300 for all others. This card was not well thought out by the marketing people. havent followed the flyertalk thread on this — does the 1K $60 Visa fee credit apply on the card which delivers RCC access? Good question, Gary, I haven’t seen that addressed anywhere (although I haven’t been paying too much attention either). Assuming United keeps the fee credit for 1K’s, I would assume it could be applied to any card. I wouldn’t be surprised if they got rid of that benefit, though.